Kooky, laconic pop delivered with a mute trumpet and a resigned sigh. 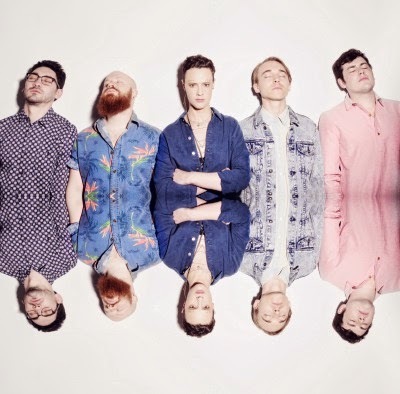 These Brooklyn tales spun across a kind of chaotic grandeur, quintet Rubblebucket have been shaking scenes on the East Coast for some time and more recently over in Europe during Summer 2014 including a spot at Glasto. 'Carousel Ride' will appear on its own EP on 11 August on fabulous Communion. This is great, really original sound, definitely liking it.